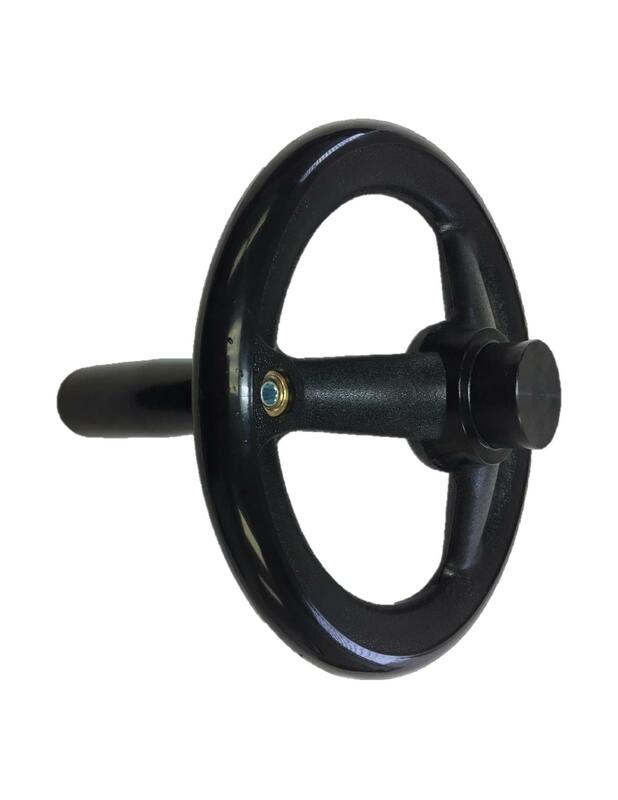 Request a quote for Plastic Three Spoke Offset Handwheel W/ Revolving Handle today. 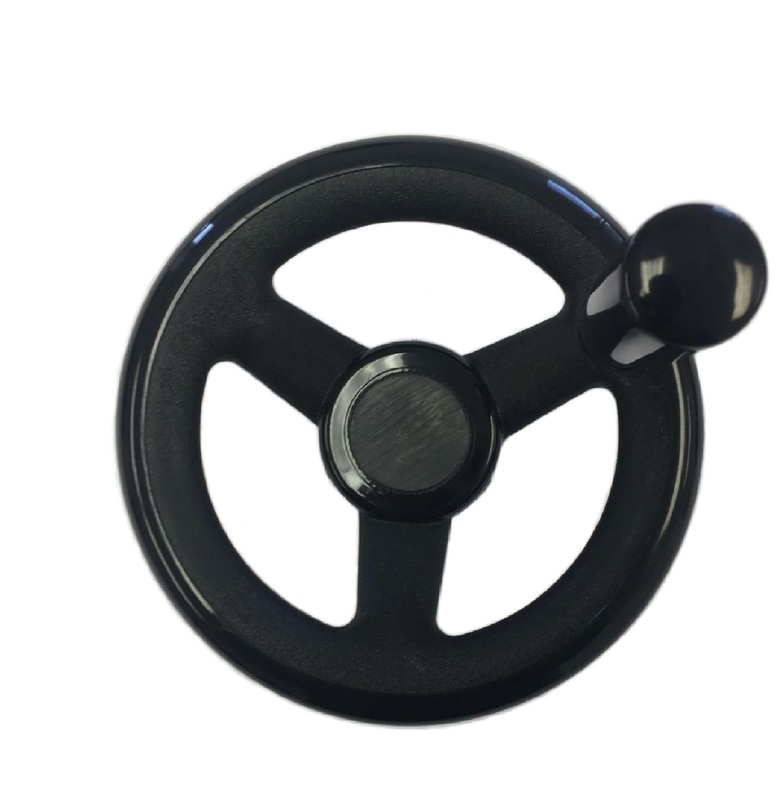 These plastic three spoke offset (dished) handwheels are manufactured from the highest quality nylon and feature a buffed outer rim for a sleek look. 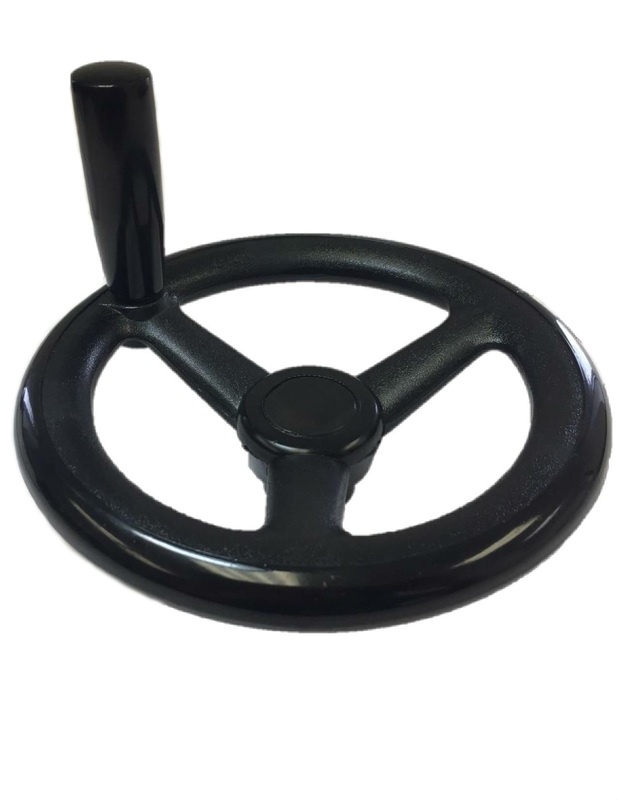 For added speed and accuracy these handwheels feature a revolving handle to make multi-revolution adjustments quick and easy. The revolving handle is removable by a simple unscrewing action from the reverse side, in cases where space is limited. Center plugs for sizes 3-5 1/2 are aluminum, with cast iron for the larger diameters. Variety of sizes available. Please see component diagram below.